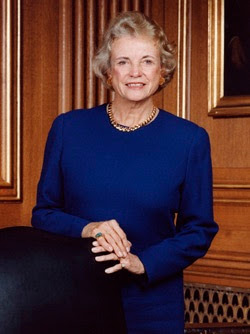 She doesn't call herself a feminist but the former Supreme Court justice Sandra Day O'Connor (pictured above) is now, at the young age of 78, most certainly an entrepreneur (see new Web site Ourcourts.org). Read Questions for Sandra Day O'Connor Case Closed -- Interview NYTimes.com where she talks about the need for an independent judiciary, why she doesn't call herself a feminist and why she wanted a woman to replace her on the bench. Good stuff. Exceptionally smart woman.